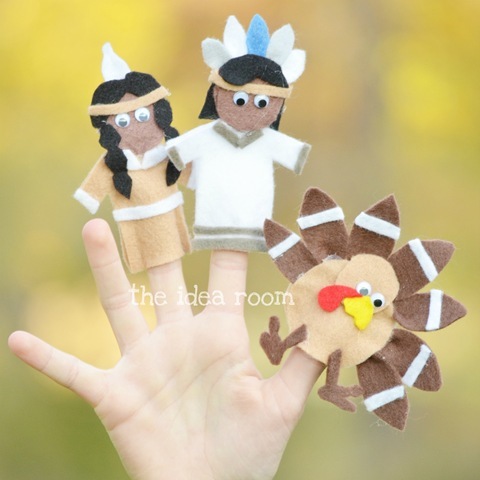 For a fun and entertaining Thanksgiving craft you can create or create with the kids, make our thanksgiving finger puppets with our thanksgiving finger puppet patterns. 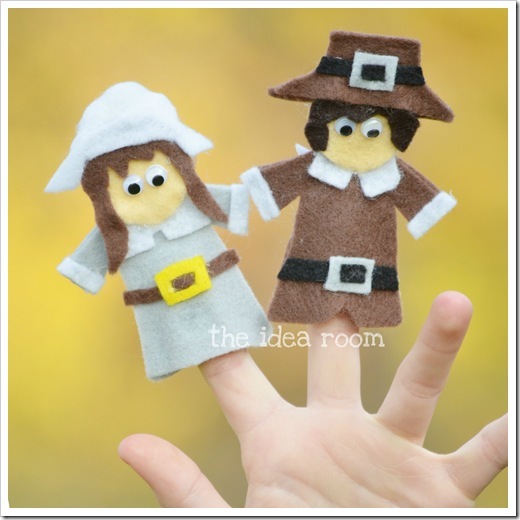 I finally finished up these fun Thanksgiving Finger Puppets. I have had these planned for a while now and was just able to find the time to get them all finished up. 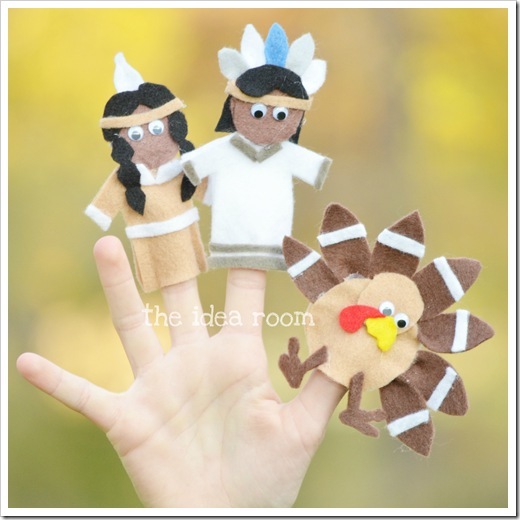 These are the perfect Thanksgiving craft to do for and with some of your kids. Need some distractions for the kids while you are prepping for Thanksgiving Dinner and preparing for the relatives to come over? Traveling to be with family this holiday? These finger puppets will be great for entertaining. The patterns for these puppets will be available for purchase in The Idea Room Store…or you can try your hand at making some of your own. 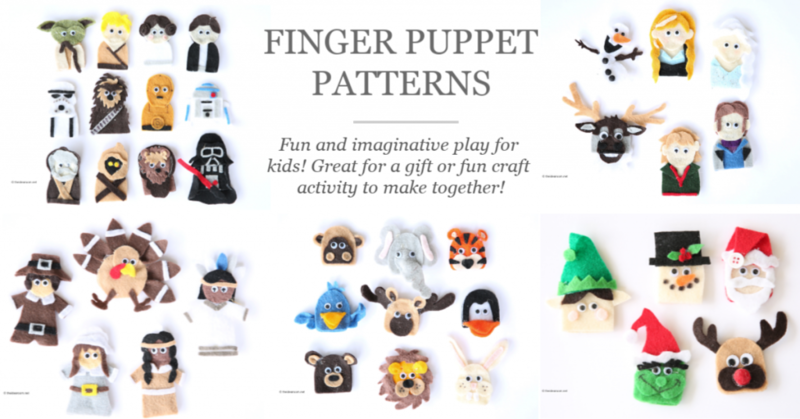 Just use your own creativity and imagination to create hand finger puppets that you can enjoy and that your kids can play with! The pattern will come with pictures, patterns and step-by-step instructions to make it easy enough for you to create them without any trouble…and they will come out like the ones pictured here. Be sure to use high quality felt and supplies so that the finger puppets will last for years to come. Are you interested in making some of your own? 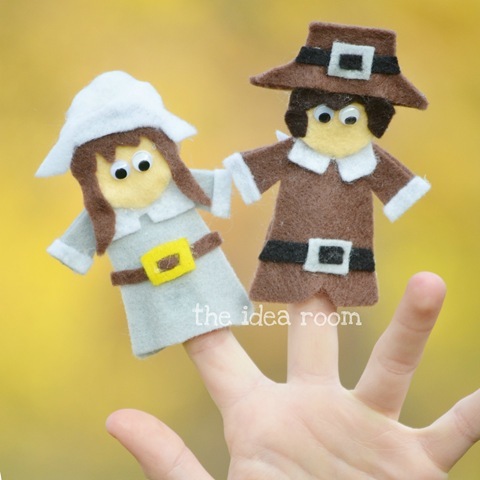 Or do you want to re-create the exact Thanksgiving finger puppets I made? 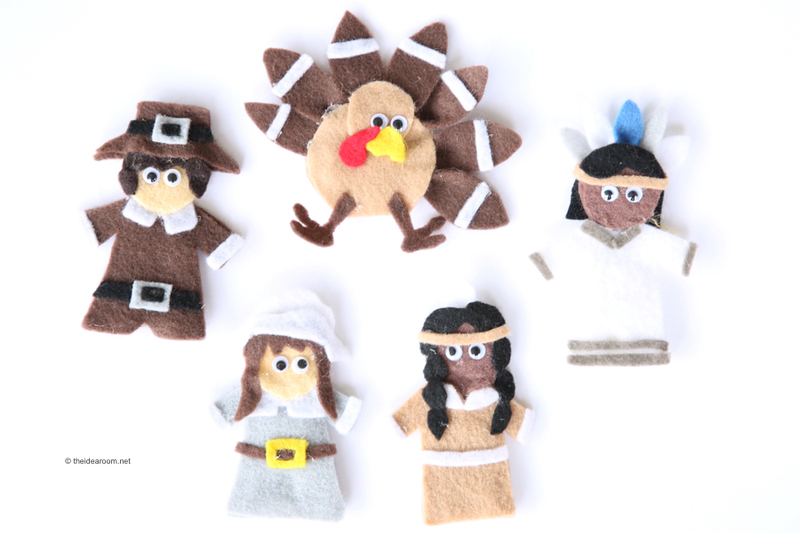 I have created some Thanksgiving finger puppet patterns to share with you for those of you who are interested. They are so easy to make and can provide hours of entertainment! They are fun to put together by yourself or as a family activity! Oh my you must be the most craftiest blogger I follow! Love the little cuties! LOVE the finger puppets and the new look! I love these finger puppets! They turned out so cute. I made some with my kids but they didn’t turn out this cute. I plan to post your picture on our blog…thanks for sharing!